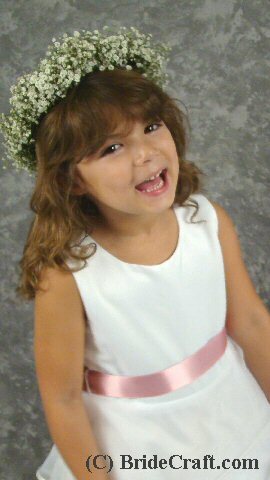 Design a Beautiful Floral Hair Wreath for Your Flower Girl! 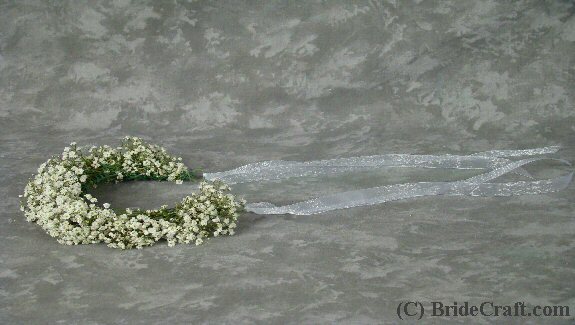 Interested in making a floral hair wreath to give your flower girl that extra angelic look? 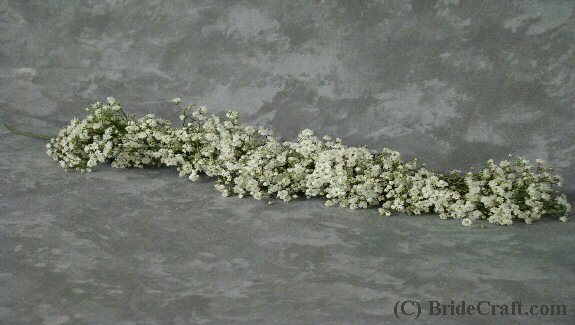 Want to know How to Make a Baby’s Breath Halo just like this one? Then you're in the right place! Below you will find a step by step tutorial showing you how to do just that. Pros: This project is very easy to make. Very cute addition to your flower girl’s wedding day ensemble. It even dries nicely! Cons: As usual, unless you want a dry halo, it must be created very close to the wedding day, and should be stored in the fridge since it will be out of water. 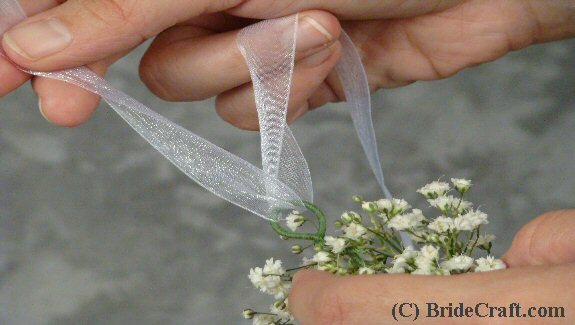 Step 1: You will need one to two bunches of baby’s breath, ribbon, cloth covered wire (or florist wire covered in florist tape), scissors and floral or garden clippers. 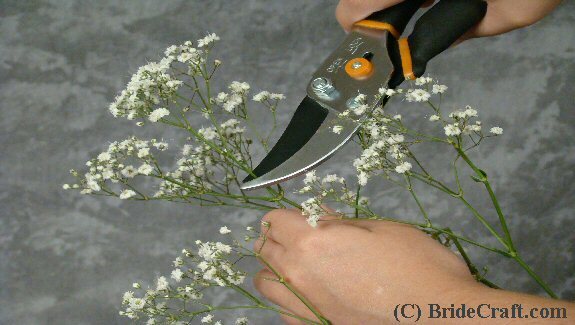 Step 2: Trim clumps of bushy baby’s breath as shown above. Step 3: Make sure you have a healthy amount trimmed. Step 4: Take your wire and create a loop at one end. 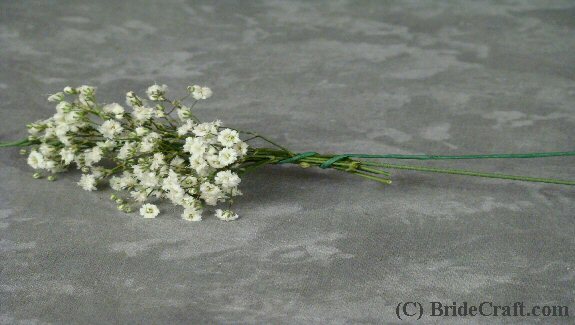 Step 5: Take a piece of baby’s breath and press it to the wire just under the loop. 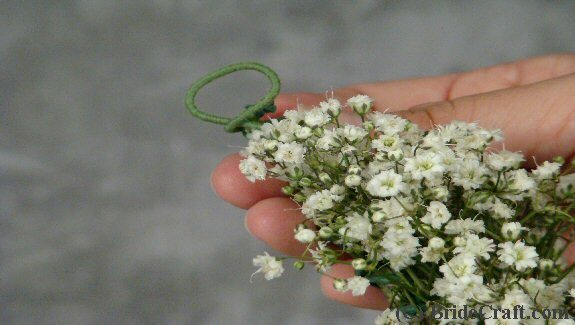 Take the second piece of wire and twist it around both the first wire and the stem of the baby’s breath. 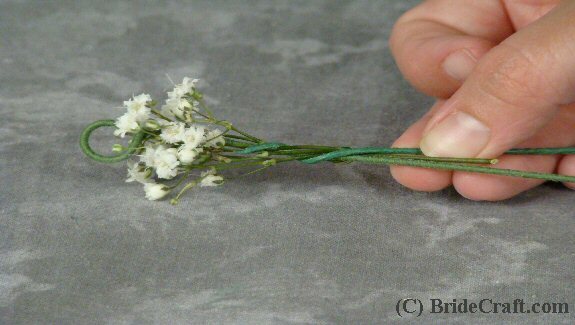 Step 6: Continue adding flowers and wrapping with the wire. Continue to almost the end of the wire. 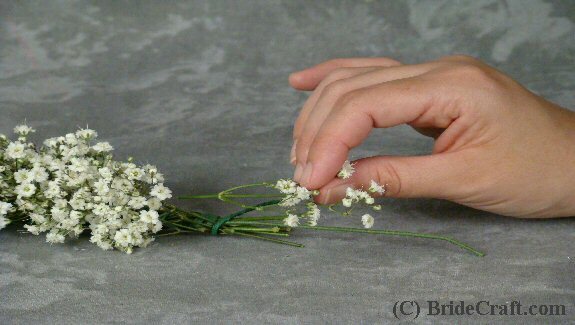 Step 7: Close to the end, begin reversing the baby’s breath so that the stems are hidden into the flowers. Step 8: You should have something like this now. 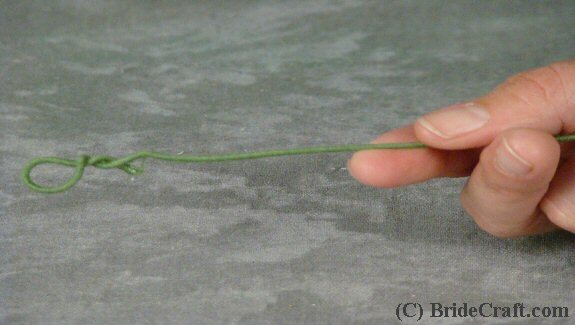 Step 9: Take the other end of the wire and twist it into a loop. Step 10: Take your ribbon and create streamers through the loops. Repeat on the other side. Trim the edges. Step 11: And your floral hair wreath is complete! Pop the halo into the fridge for safe keeping. Return Floral Hair Wreath to Little Attendant Project Page.